Stretch marks may not be a serious health risk, but they are embarrassing. They appear most frequently on the abdomen, thighs, breasts, buttocks, and upper arms when skin expands rapidly due to weight gain or pregnancy. Stretch marks will come when connective tissues stretch beyond their flexibility. Stretch marks form in the middle layer of the skin. At first, they may be purple or red in color, but they eventually fade to a silvery white. Regardless of their hue, no one wants them around. 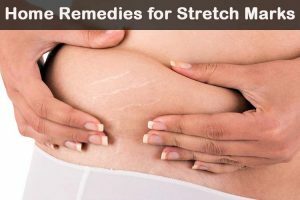 You’re about to learn 11 safe, natural remedies ways to reduce the appearance of stretch marks at home. These methods are just as effective as commercial products, but they’re far less expensive. Mix 1 tablespoon of raw sugar with few drops of almond oil and lemon juice. Stir well and apply on stretch marks. Massage into skin for 10 minutes. Repeat daily before taking a shower for a month. Aloe vera has anti-inflammatory and natural healing properties. It soothes and repairs scarred skin. Aloe vera is rich in essential nutrients that help to heal scars, and it reduces inflammation. Rub gel into scarred skin. Leave for few minutes and then rinse with warm water. Mix ¼ cup of fresh aloe vera gel with oil from 10 vitamin E capsules and 5 vitamin A capsules. Massage into stretch marks and leave on until completely absorbed. Repeat regularly to get rid of stretch marks. Olive oil is rich in vitamins A, D, and E. It helps to soften the skin and reduce the appearance of existing stretch marks while preventing new ones from forming. Take a hot shower to cleanse skin and open pores for better absorption. Rub few drops of olive oil into scarred skin in circular motion. It helps to i improve the blood circulation and reduces the stretch marks. Mix few drops of olive oil with a few drops of vinegar and water. Apply to stretch marks before bed and leave on overnight. This smoothes, hydrates, and exfoliates skin. Lemon exfoliates to remove dead skin cells, reducing the appearance of stretch marks, and it’s also a natural bleaching agent. Cut a fresh lemon in half. Massage juice into stretch marks, rubbing in circular motions. Repeat daily to lighten stretch marks. Mix equal quantities lemon juice and cucumber juice. Apply to stretch marks and let dry. Mix ½ cup of cocoa butter with 2 tablespoons of lemon juice. Apply to stretch marks, rubbing in circular motions. Allow to dry, then rinse with water. Massage cocoa butter into scarred skin for 10-15 minutes. Mix ½ cup of cocoa butter, 1 tablespoon wheat germ oil, 2 teaspoons grated beeswax, 1 teaspoon apricot kernel oil, and 1 teaspoon of vitamin E oil. Heat this mixture until beeswax is completely melted. Let cool and store in jar for future use. Apply to stretch marks 2 times daily to reduce the appearance. Keep the jar in refrigerator to use next time. Egg whites are rich in proteins and amino acids which help to repair stretched skin and make stretch marks less visible. Separate the whites from two eggs. Apply to stretch marks and leave on 10-15 minutes. Massage with olive oil to moisturize and improves the quality of collagen to repair the stretch marks. Repeat daily for at least two weeks to see the results. Coconut moisturizes skin, helping it to maintain elasticity and suppleness. It also contains anti-oxidants that fight against free radicals and boost the immune system. Massage coconut oil into stretch marks until it is completely absorbed. Leave on and repeat 3 times daily for at least 15 days. Mix few drops of coconut oil with few drops of tea tree oil. You can also use Shea butter, baby oil and other essential oils like avocado oil, emu oil, etc. in place of coconut oil to get rid of the stretch marks. Coffee contains a chemical which helps to lighten scars and tighten skin. Grind coffee beans by adding enough warm water to make a paste. You can also use coffee ground directly but don’t add water. Mix it with aloe vera gel. Massage into stretch marks for 3-5 minutes. Wipe it with a warm cloth or towel for at least 15 – 20 minutes. Wash off with water and apply olive oil or moisturizer. Repeat daily for 1 month. Alfalfa leaves contain amino acids, vitamins E and K, and other essential nutrients, all of which help to restore skin and reduce the appearance of stretch marks. Mix alfalfa powder with chamomile oil to make a paste. Massage into stretch marks for 5 minutes. Repeat 2-3 times daily for at least a week to observe the change. Raw potatoes contain vitamins and minerals that accelerate skin cell regeneration. Rub one slice over stretch marks for 5 minutes. Take another slice and continue the process several minutes. Allow juice to dry on skin. Repeat 3 times daily to get rid of stretch marks. Castor oil is one of the oldest and most effective remedies for nearly all types of skin problems. Massage a few drops of castor oil into stretch marks for 10-15 minutes. Cover with clean, dry cotton cloth. Put a heating pad over the cloth and leave on 30 minutes. If castor oil is too thick, mix it with olive oil or almond oil. Repeat daily for at least 1 month. Drink 10 glasses of water a day. Staying hydrated helps skin maintain moisture and elasticity. Eat plenty of fresh fruits and vegetables that contain vitamins A, C, D, and E such as carrots, sweet potatoes, citrus fruits, milk, eggs, fishes, nuts, meats, fiber rich foods, dairy products, avocados, sunflower seeds, blue berries, etc..
Eat a low calorie diet to avoid weight gain. If you plan to lose weight, do it gradually, not suddenly. Use combinations of orange oil, vitamin E oil, coconut oil, olive oil, and cocoa and Shea butters to enhance results. Use a brush or other exfoliater on dry skin to remove dead cells and detoxify skin. Get regular exercise in order to maintain a healthy weight. Massage grapefruit extract into stretch marks to increase blood circulation and promote collagen production. Always keep skin moisturized to prevent and lessen the stretch marks. Do not scratch stretch marks. Have you tried any of these home remedies for stretch marks? Tell us which one worked best for you! How to remove under eye bags ? Please suggest some home remedies. Here are the best home remedies for eye bags http://homeremediesforlife.com/puffy-eyes/. You have to use Irish potato. Yes, it works if followed regularly. Please can a mixture of fresh Aloe vera gel, Shea Butter, honey & coconut oil help to fade old stretch marks? You can mix them and try. Share your experience with us. Everyone’s skin is different and its healing capability. Choose any one method as per your preference as what works for you may not work for you. Moisturize the stretch marks regularly for effective results. im only 14 and i look like i had three kids which method did u find was best? The method which works for me may or may not for you and vice versa. So choose any method as per your convenience and try it for few months. If you didn’t observe any improvement, you can shift to another method and try it. Apart from following the remedies, you can have exfoliate and moisturize regularly. Do we have to use each one of them. Or do we still pick one. I have some strech marks that have came open and turned into sores anything I can do for those. Choose any method as per your convenience and preference. As per your description you have open sore on the stretch marks. Apart from trying out the methods, make sure to keep the area clean and dry to avoid infections. Don’t scratch them. Patch test the methods before applying as they can irritate the open sores. If nothing seems to work, it is better to consult a doctor. can I mix sugar with egg whites to exfoliate and then use the aloe vera to moisturize? You can try 1, 3, 5, or 11th method mentioned in the above article. I have a little stretch mark on my shoulder, I love wearing armless tops so I don’t feel comfortable with it, have tried a lot of creams and some home treatment on it but it’s not working, what can I use again that will work well and clear it??? 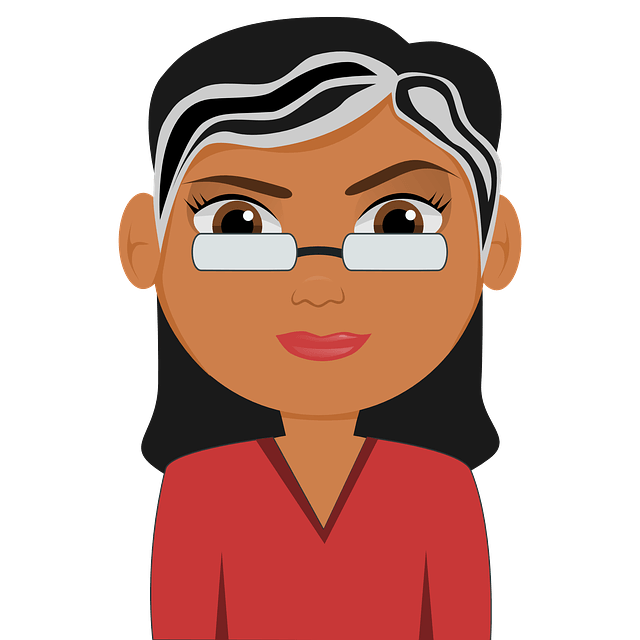 Try 1, 8, or 11th method mentioned above in the article. can I add Johnson’s baby oil to the aloe vera extract? if not what oil can I mix with aloe Vera? I have them on my hips , which method would work best for me please?